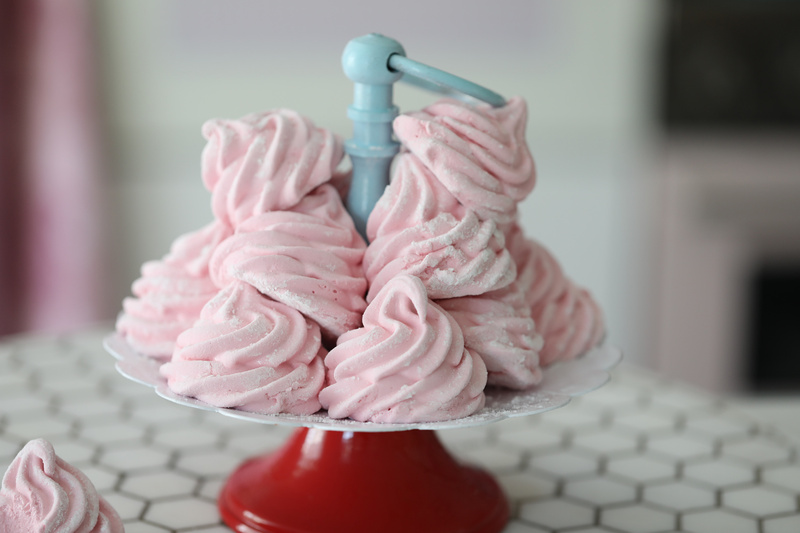 Hi sweet readers, I hope you are enjoying the weekend. 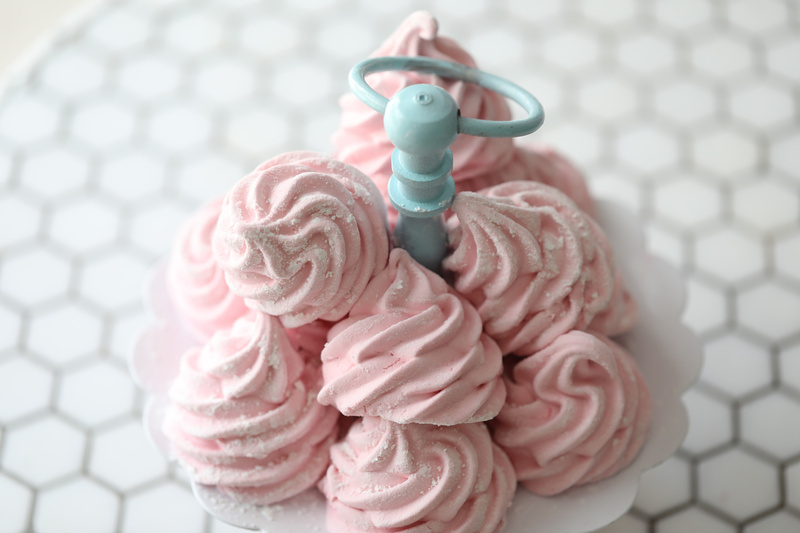 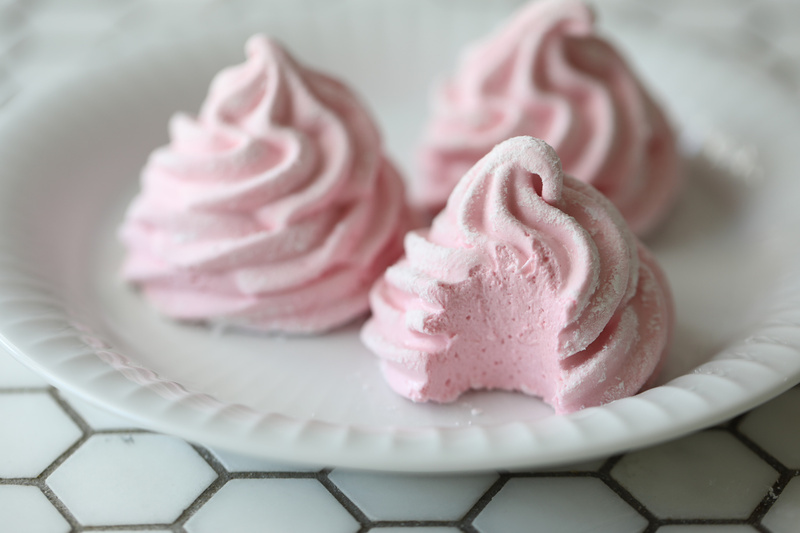 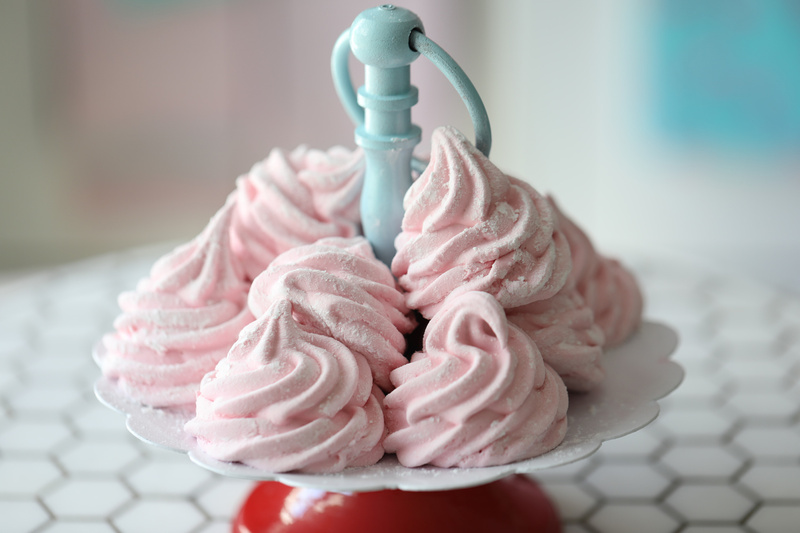 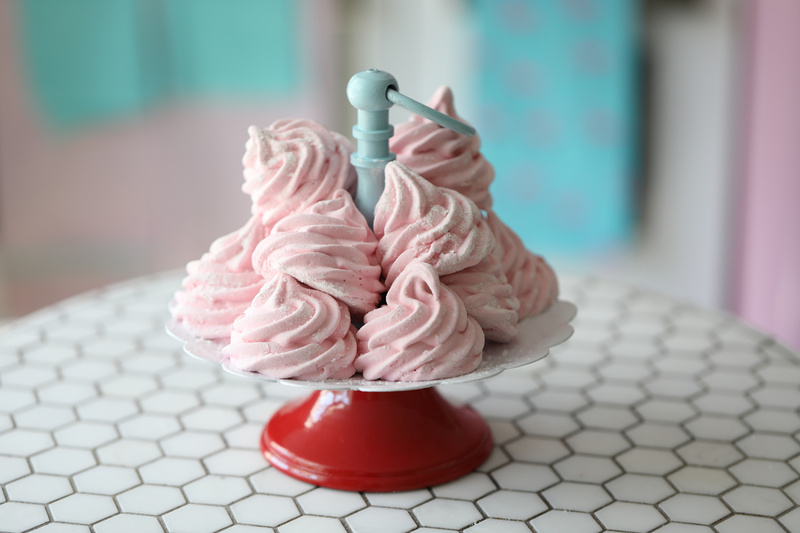 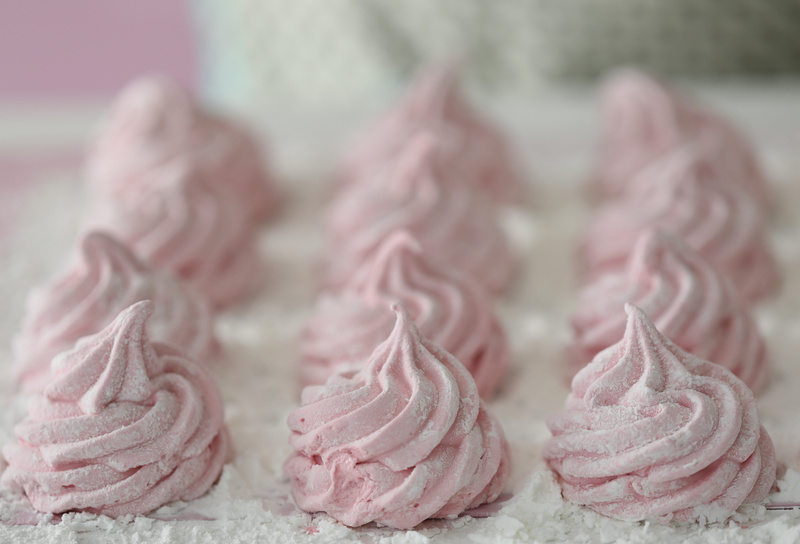 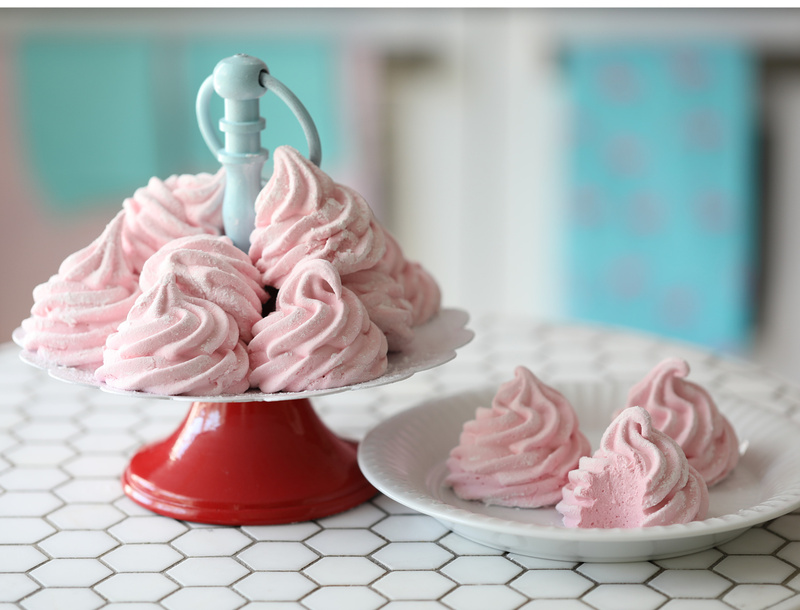 Today I’m sharing the recipe for these raspberry piped marshmallows, there is something so special about homemade marshmallows especially for the holiday season. 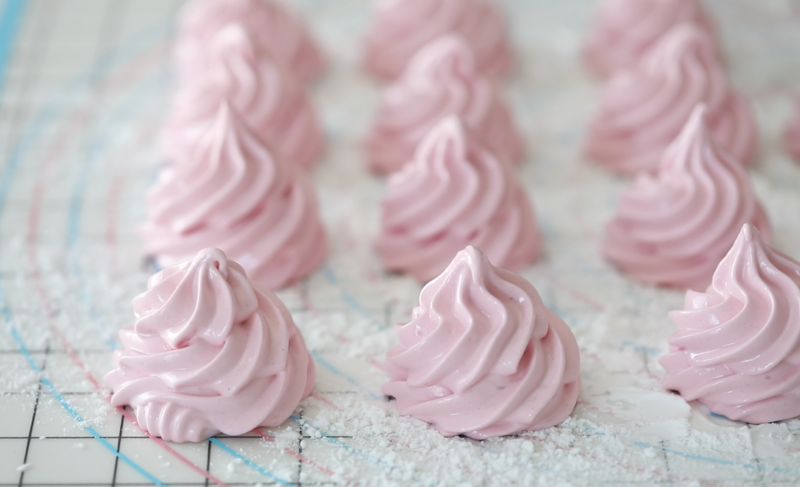 These marshmallows get this lovely pink color from real raspberry fruit. 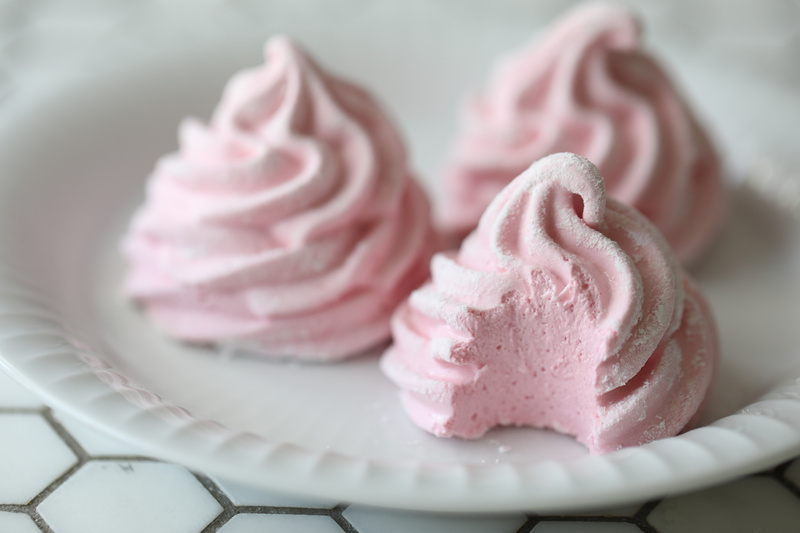 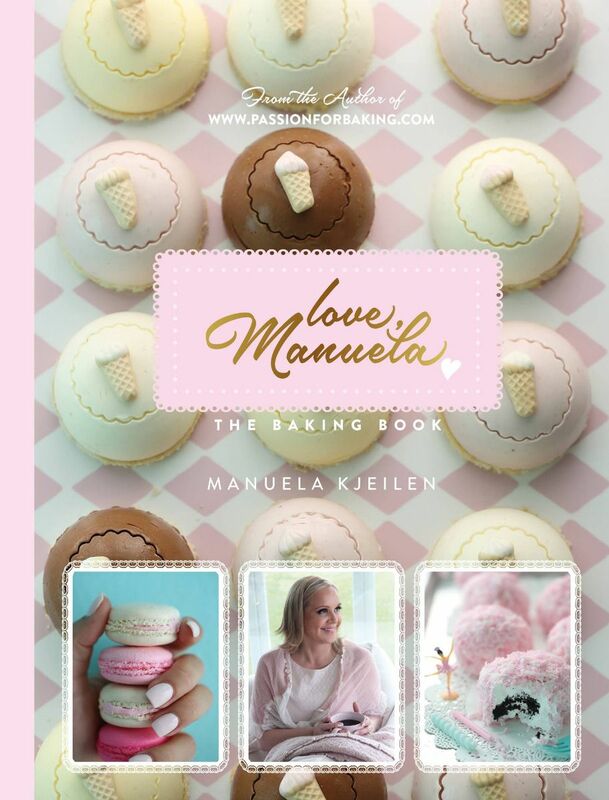 They are juicy and absolutely lovely, they are great for holiday gifting and perfect to enjoy with a cup of hot chocolate, during the cold winter months. 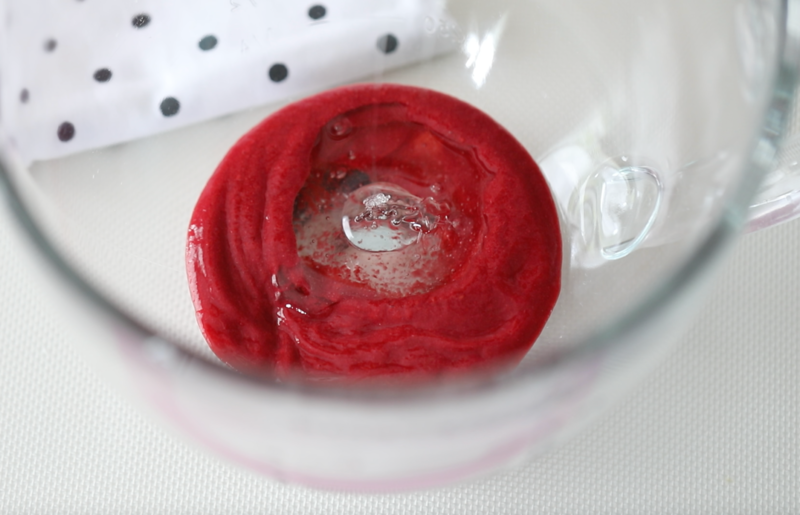 Place the 8 gelatin leaves into a bowl filled with cold water for at least 8 minutes. 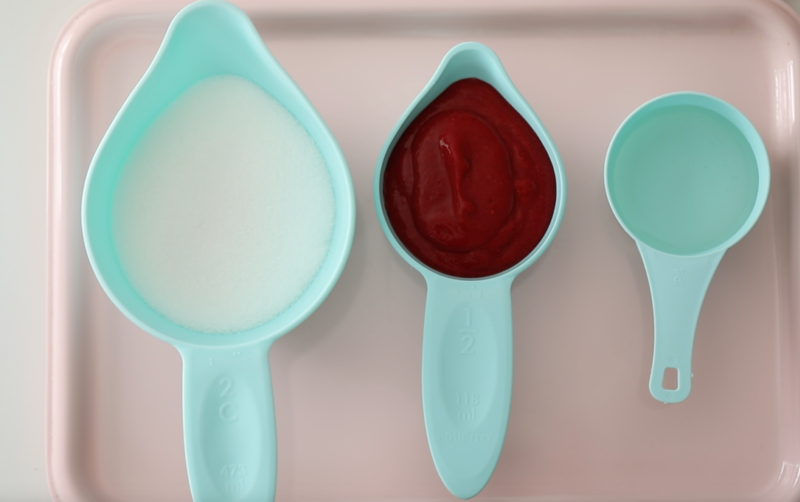 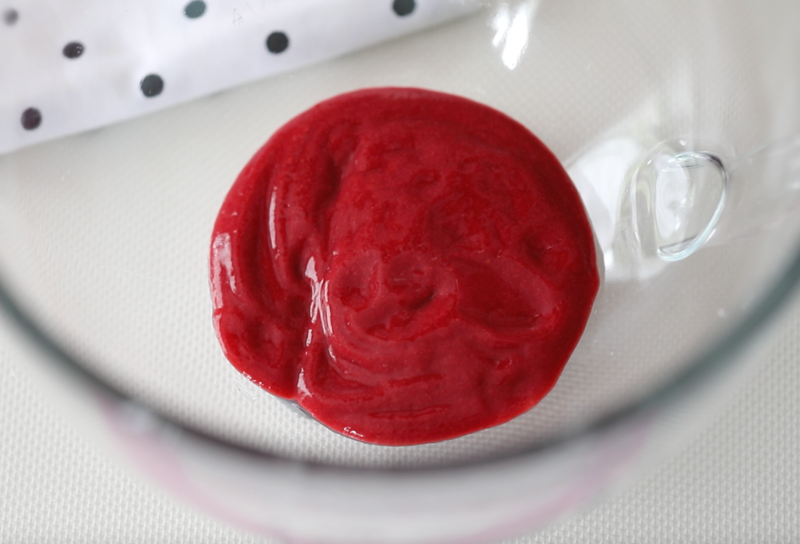 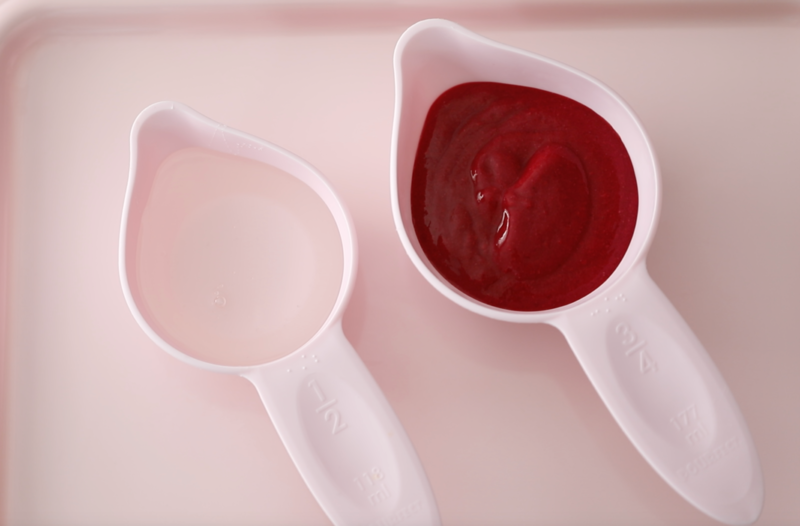 Place the sugar, 1/2 of the light corn syrup, and 1/2 the raspberry puree ( get the recipe for the raspberry puree →her) into a saucepan. 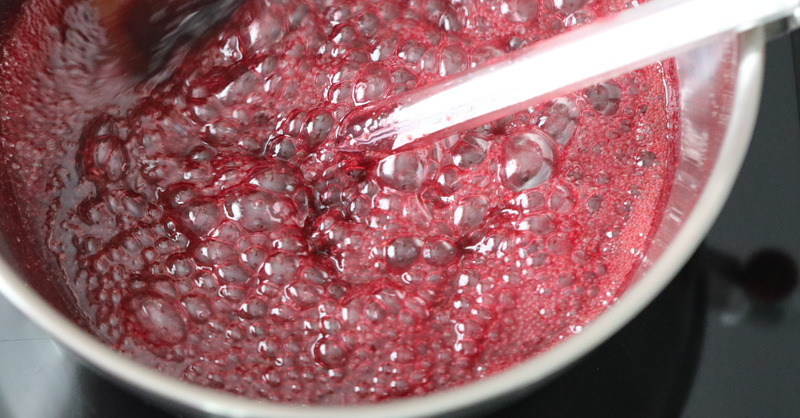 Over medium heat bring to a boil, and continue to boil until the mixture has reached a temperature of 230F° (110C°). 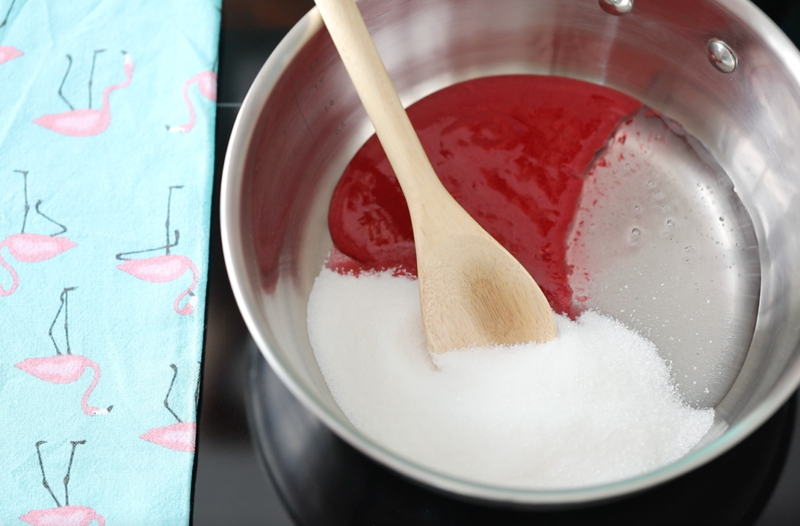 →It is important to use a sugar thermometer here! 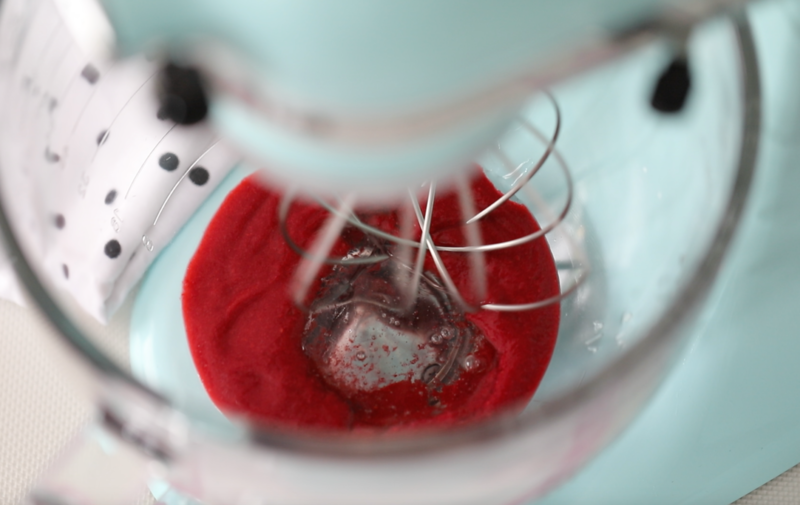 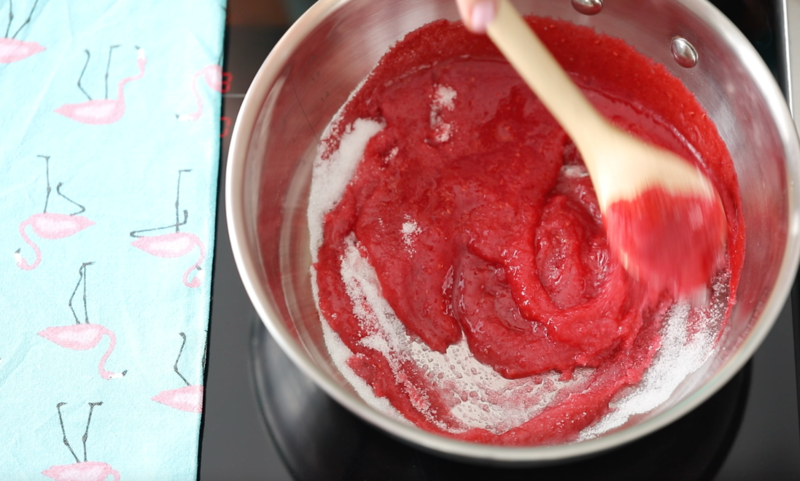 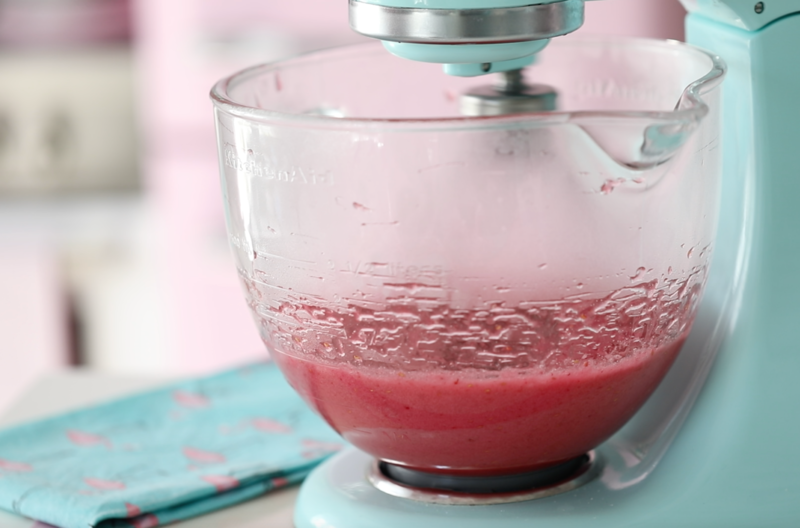 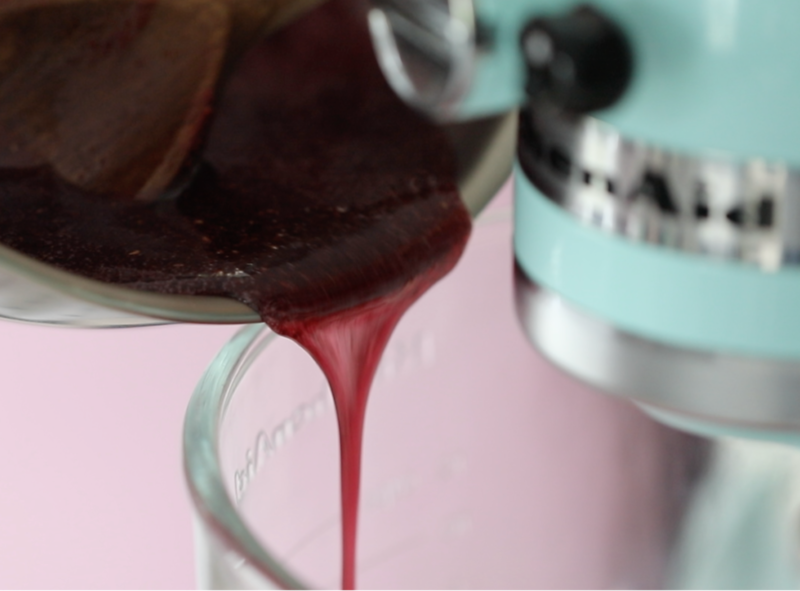 Place the remaining half of the glucose and raspberry puree into a mixing bowl and start whisking on a low speed. 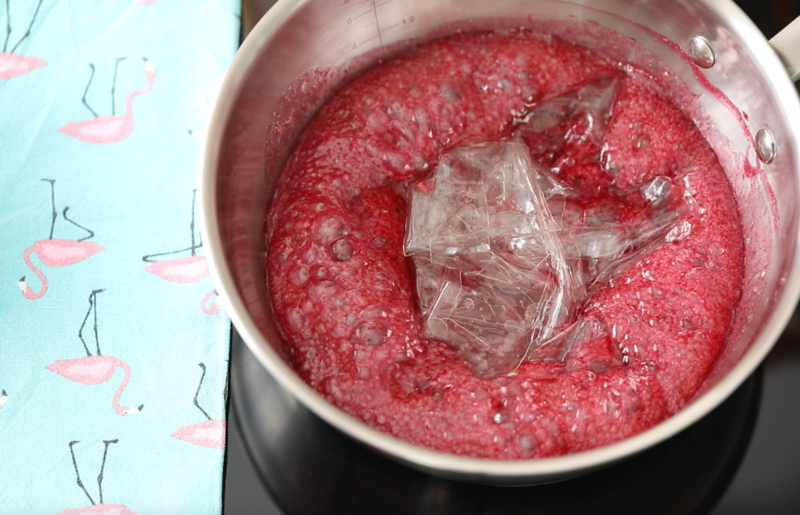 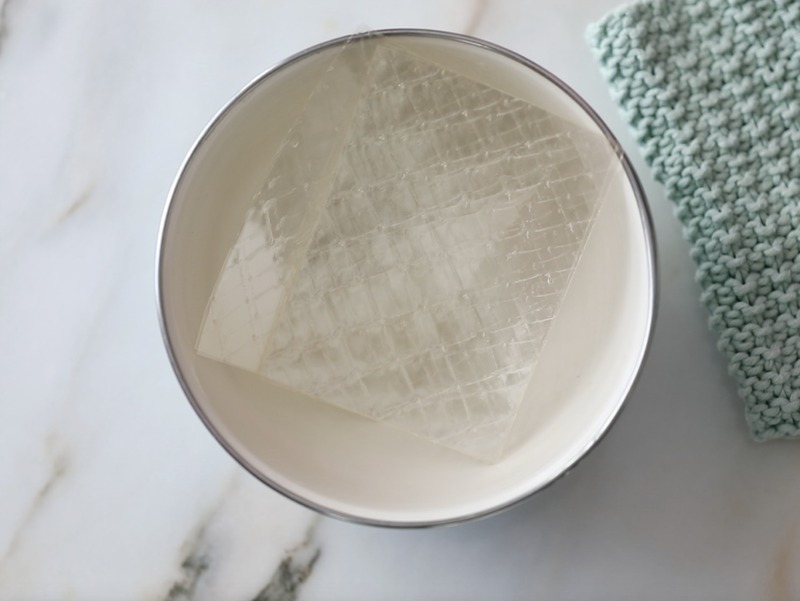 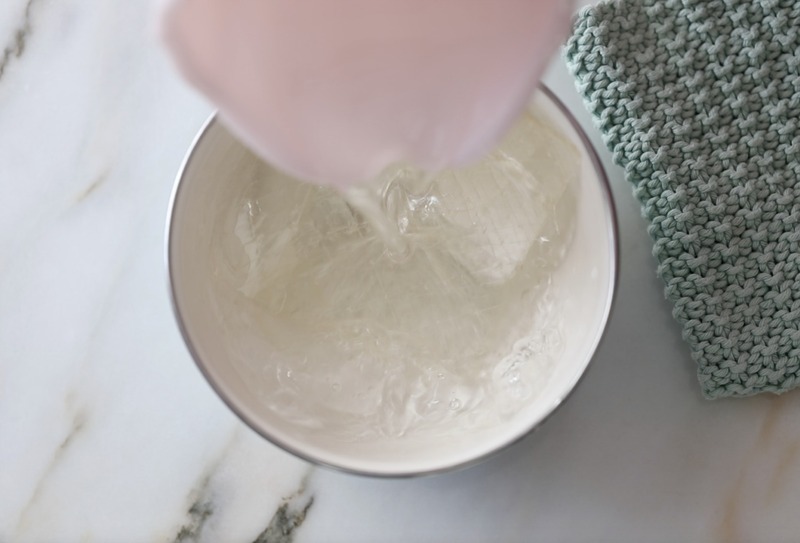 When the hot mixture has reached the correct temperature, turn off the heat, and pick up the softened gelatin leaves from the cold water and squeeze out most of the water. 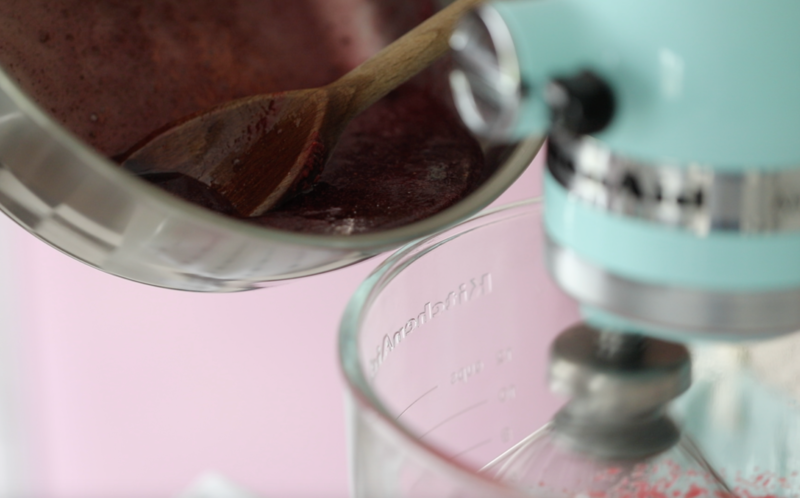 In the meantime combine the ingredients for the classic coating. 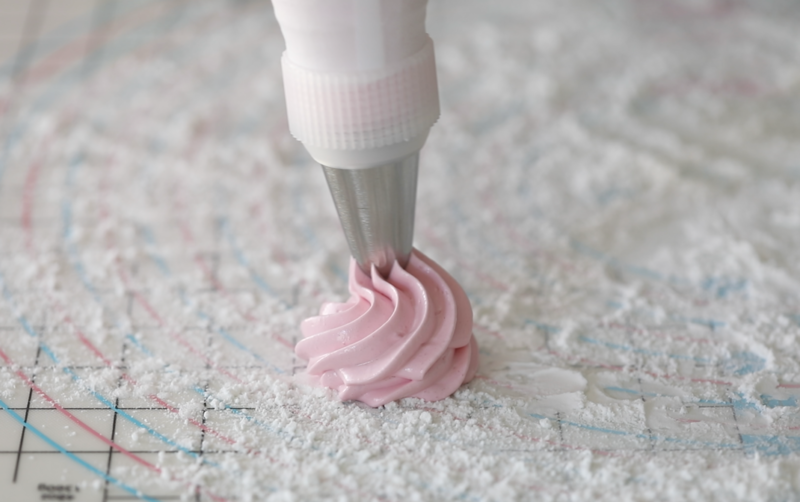 Sift 1/2 of the classic coating it onto your work surface, or on a silicon baking matt as I do. 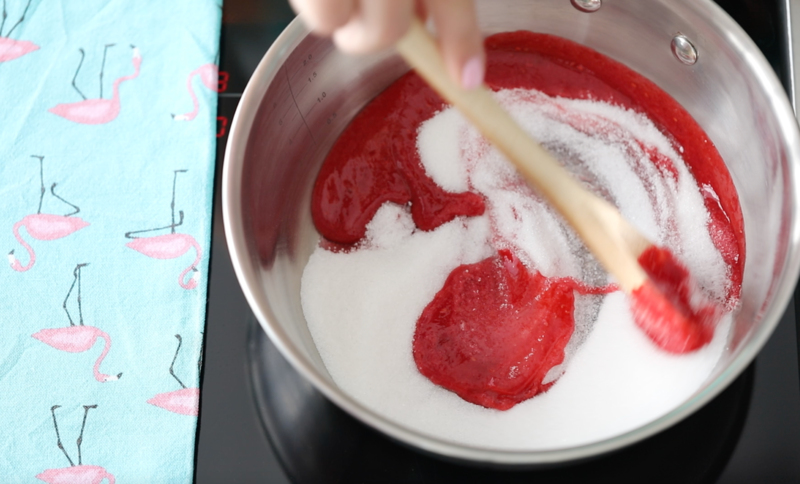 Fill a pastry bag with the marshmallows mixture, fitted with a nozzle of your choice, and pipe pretty swirls on top. 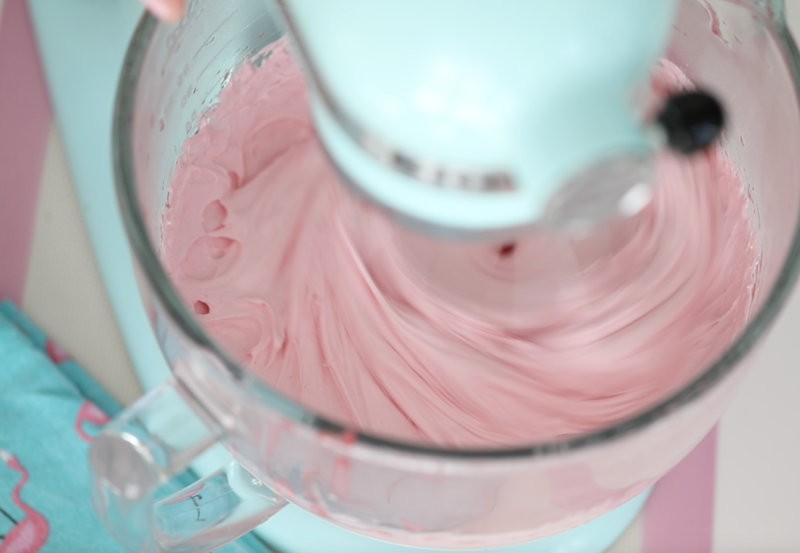 Sift the remaining of the coatings evenly and generously over the top, Let sit for two-three hours, then roll each marshmallow in the classic coating to make sure it is all covered.